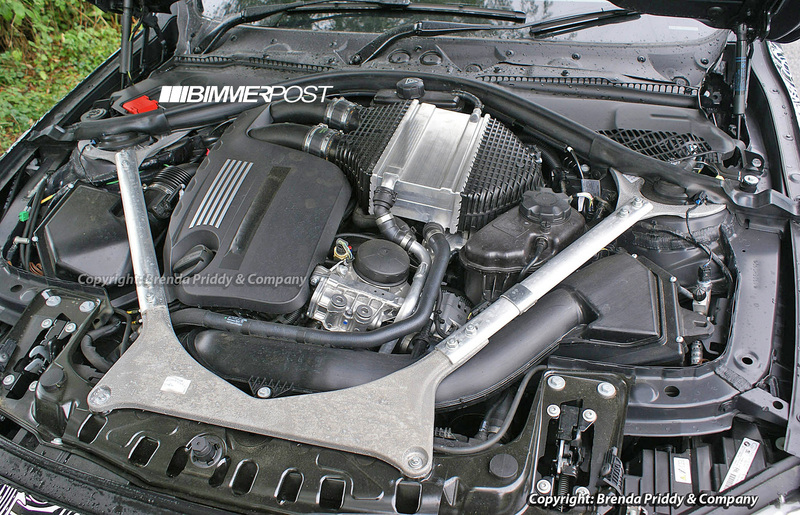 BMW 2014 F80 M3 S55 Engine (Turbo Inline 6) Physically Exposed! Back in May we first confirmed that the F80 M3 and F82 M4 would be powered by an inline 6 cylinder turbo engine and indeed we've just received these first photos of the next gen M3/M4 engine, with visual proof of the inline cylinder setup. The F80 M3 / F82 M4 will have some good cooling of the heated air pumping from its turbos, via components such as the air-to-water/liquid intercooler unit (to the right of the engine cover) feeding the cylinders with cooled air. If this setup is anything like in the M5/M6 S63Tu engine, the air is cooled by this unit right before it reaches the cylinders. 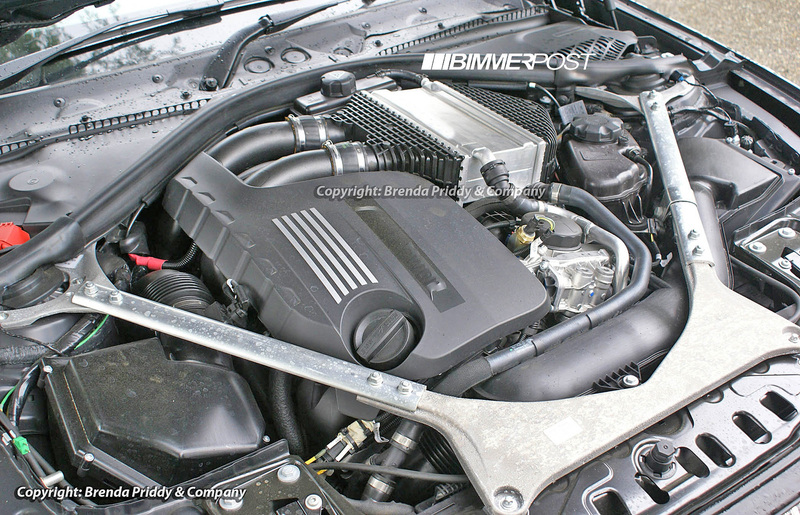 There appears to be twin intake boxes and the oil cooler bracket looks to be the same as on the N54 and N55 engines. The photos do not confirm the exact number of turbos, but the two charge pipes feeding the intercooler is a sign that it probably has at least two turbochargers. Whether a third electric turbo (rumored) lies somewhere out of sight remains to be seen. Expect this engine to output in the ballpark of 450 horsepowers (UPDATE: we've now confirmed that this is an overestimate; it will instead feature approximately the same HP as current M3 (414hp) while adding 100lb-ft more torque). It's been rumored to be an extensively reworked and reinforced N55 6-cylinder engine with a strengthened aluminium block with a heavily modified cylinder head. The Induction technology is said to be completely new as will be the latest bi-vanos variable valve timing. This engine may also be a reworked/enhanced version of the successor engine to the N55 (which has not yet been introduced). The F80 M3 will no doubt be the stiffest M3 yet, and the brawny strut tower brace surely contributes to just how tightly the entire car will handle and feel. Click images for high resolution version. That is one cramped engine bay. Never really seen a pre-production engine bay before this, is this what we can expect in the production model? It looks like it could be cleaned up a bit. It's not like the E92 was any more spacious but looked a hell of a lot cleaner with the engine and air box taking up the most space. But how Priddy is Brenda ? I also suspect the final chassis brace will be 3 pieces instead of the 6 in the pictures. 2x strut tower mounts, one large brace between them and the radiator mount. It definitely wins the ugliest engine bay award. On a more serious note, how effective are air-to-water intercoolers on turbocharged cars? Better than a traditional air-to-air cooler? I can't think of many examples of this kind of setup. It seems clear that this engine couldn´t any lighter than the S65 !!! So it the case of the rest of the car to reduce weight. Seems to work pretty well on the S63's in the X5/5/6 M-models. The car should be a rocket. Can't wait until the ATS-V and the next RS4 are out. Not to mention the next C AMG and IS-F. Competition is making this class great. i like the strut brace. this car means business! 2006 X3 3.0 steptronic Titanium Silver, 2009 E92 335xdrive, next.... Caddy CTS_V! 13 Lincoln MKZ? hmmm. 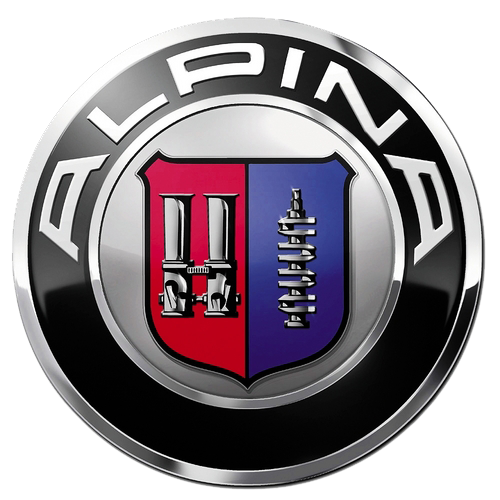 I just knew it would be a N55 twin turbo, same goes with the new Alpina B3.. N55 Biturbo on that. But i REALLY hope the do something to that design it looks like something children from the kindergarden have made. I'm sure it will be a rocket. I found where to put the washer fluid! I was hoping to see a dipstick. Looks like it will be a pain to work on. Same for the M5. M4-Mineral Gray/Full Shakir Orange/DCT/M Ceramic/M Adaptive Susp. Ya ya ya, I am Lorde, ya ya! Holy crap BMW, this isn't an Audi!